Krecklau German Shorthairs is a Breeder of AKC and NAVHDA German Shorthair Puppies. We will have German Shorthair Puppies for sale 4 times a year. German Shorthair breeder in Minnesota producing German Shorthair puppies that hunt. 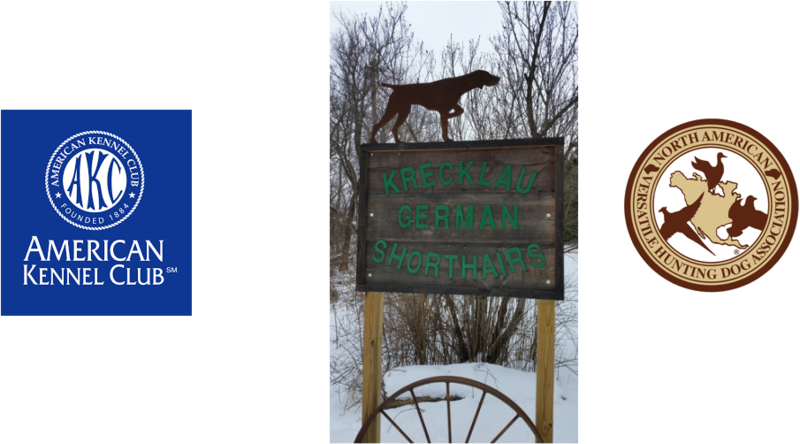 German Shorthair breeder located in the upper Midwest in Gaylord Minnesota of top field producing AKC and NAVHDA German shorthair pointer pups. Our breeding program offers some of the best German Shorthair bloodlines from Imported and American bloodlines. Krecklau German Shorthair puppies are first and foremost hunting and family companions. Breeding and working with German Shorthairs has been our passion for 27 years. Bird dogs were a way of life for me long before a single German Shorthair came into my life, some of those other breeds are great dogs but the German Shorthair became my breed of choice. This breed has all of the characteristics that one could want in a single breed. They are a true versatile breed, #ourdogshunt Bobwhite quail, pheasant, sharptail and ruffed grouse, as well as waterfowl from Minnesota to Iowa, South Dakota, Nebraska, North Dakota, Montana and Kansas. Our past and present dogs have competed in hunt tests, field trials and conformation with great achievements. We breed our German Shorthairs puppies to perform in the field and to have great conformation. German Shorthairs are our families passion! Krecklau German Shorthair's #gettothepoint. Members of The German Shorthair Club of America and Minnesota German Shorthair pointer club. As a premier German Shorthair Breeder in the Midwest we strive for perfection in our Hunting lines. Since the German Shorthaired Pointer was developed to be a dog suited to family life as well as a versatile hunter, the correct temperament is that of an intelligent, bold, and characteristically affectionate dog that is cooperative and easily trained. They can make excellent working dogs. The GSP is usually good with children, although care should be taken because the breed can be boisterous especially when young. These dogs love interaction with humans and are suitable pets for active families who will give them an outlet for their considerable energy; in this regard some competitively trained GSPs are walking dynamos; they must be avidly run multiple times a week ( at least ). Most German shorthaired pointers make excellent watchdogs. The breed generally gets along well with other dogs, though females appear to be much more dominant during interbreed interaction. A strong hunting instinct is correct for the breed, which is not always good for other small pets such as cats or rabbits. With training, however, the family dog should be able to discern what is prey and what is not, and they can live quite amicably with other family pets. show affection but also should have an intense desire in the field, all of our dogs show this quality. We strive to put foot hunting dogs in the homes of the avid bird hunter. Our German Shorthaired Pointers have natural point, backing and retrieve instincts at an early stage. 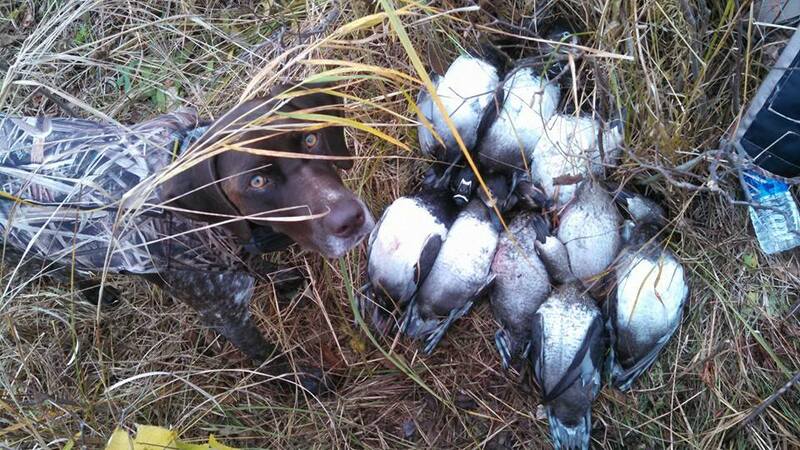 Our Dogs are hunted on wild birds and handle them the way a well field bred German Shorthair should. We commit to improve field performance in our dogs without the sacrifice of AKC conformation guide lines. Pepper a Max/Blaze pup owned by J and D Frohman.